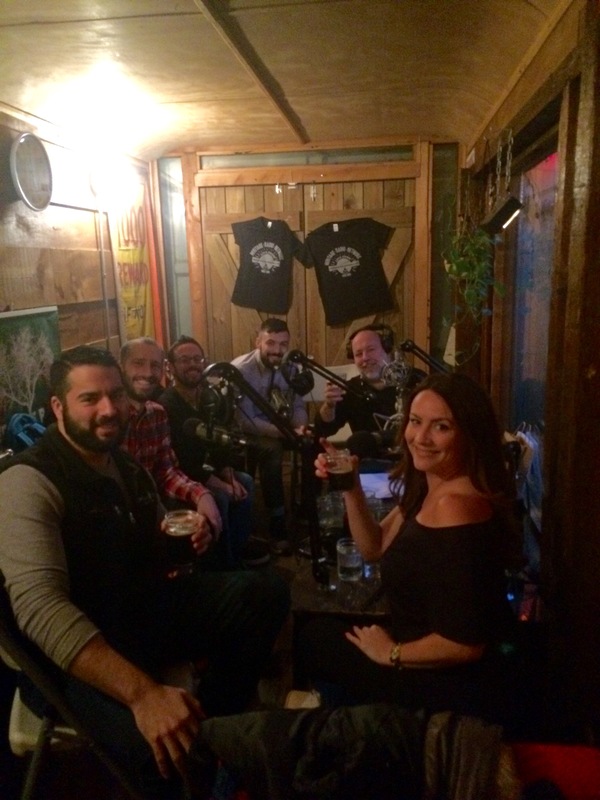 Tune in to this week’s Beer Sessions Radio as host Jimmy Carbone and winter co-host Anne Becerra welcome Joe and Chris DeCicco of DeCicco Family Markets as well as Lars Dahlhaus, Eastern Sales Manager at Fentiman’s Inc, plus special guests from NYC’s Fraunces Tavern. The three young scions of the family that founded the Westchester/Rockland DeCicco Markets dynasty—Joe and his cousins, brothers Chris and John—all share a passion for beer. The trio used the unglamorous fact that they were born into a supermarket family to launch themselves as heavy players in the local beer world. Look for the 10 DeCicco stores in Westchester and Rockland to carry between 400 and 1000+ beers each. Meanwhile, several of the DeCicco stores (Pelham, Harrison, Ardsley, Armonk, Cornwall, and Brewster) offer taps for growler fills. And two of the DeCicco Markets (Armonk and Brewster) actually offer craft-beer bars on the premises, which means that you can catch a buzz before doing your weekly shopping. The Armonk DeCicco is located next to Fortina and offers 28 taps for growler refills or for just hanging around drinking. Look for the DeCicco boys to collaborate with several local brewers including Sixpoint Brewery, Captain Lawrence Brewing Company, and Evil Twin Brewing. Also, look for DeCicco’s sponsorship at many local beer events, including Savor New York. Lars has a new company called “Liquid Projects” which incorporated in April of 2015. As the president of Schwelmer Beer Imports N.A., Lars has been importing the Craft Beers from his hometown as well as other Bavarian beers such as Lammsbrau, Miltenberger, Meckatzer and Eichbaum to name a few since 2003. From 2011 to 2014 Lars has been the Craft Beer Portfolio Manager at St. Killian, responsible for such renowned brands as Wuerzburger and again Lammsbrau. During his time there he launched and established Crabbie’s from the UK, 961 from Lebanon, Andechs and Rothaus from Germany. The burning desire to offer an innovative and cost-effective way to international producers is what started Liquid Projects. Lars has been a resident of Williamsburg, Brooklyn for 18 years.